Gravis Planning is one of Ireland’s largest independently owned Town Planning consultancy practices, with offices in Dublin and Belfast. The company provides strategic advice with a commercial focus and has delivered planning approval for schemes of various sizes across all sectors including residential, retail, energy, commercial, healthcare, tourism and industrial. In response to continued growth we have an opportunity for a Planning Consultant to join our Dublin team. Working closely with a Planning Director, the successful candidate will manage their own projects, contribute to the management of planning applications/appeals, prepare planning appraisals and development plan submissions, carry out research, and play an active role in all of the planning consultancy aspects of our business. Applicants should have an IPI/RTPI accredited degree in Town Planning, with at least 2 years’ professional experience and an in-depth understanding of the Irish planning system. The successful candidate will be commercially minded, show attention to detail and have excellent written and oral communication skills. Applicants must possess a driving licence and have access to a car to allow them to carry out their duties in the position. 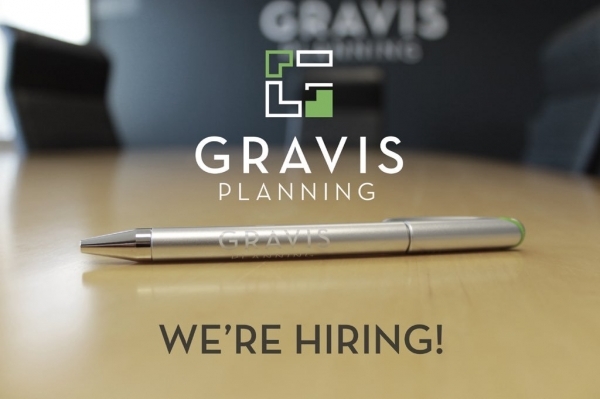 Gravis Planning will offer the successful candidate an attractive remuneration package and the opportunity to join an established and highly respected consultancy entering a new phase of ambitious growth. To apply for this role, please send a copy of your CV and a brief cover letter to info@gravisplanning.com by 5pm on Friday 26th April 2019.